Diane Ross-Glazer thought of herself as a parenting expert until she had her third child, Alexa, whose prickly, unpredictable behavior led to tears, temper tantrums, and screaming matches. It led Dr. Ross-Glazer on a journey to discover what goes wrong in the communication between parents and their children. What Dr. Ross-Glazer discovered was that she and Alexa were speaking different languages: She was speaking in the language of thoughts while Alexa was speaking in the language of feelings. 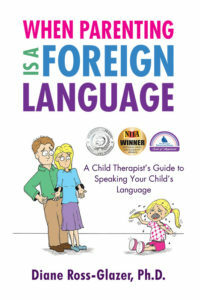 To communicate better, Dr. Ross-Glazer would have to learn a “Foreign Language” – the language of feelings. In the process of learning that Second Language, Dr. Ross-Glazer realized a vital psychological pathway exists between thoughts and feelings. For children (and adults) to be emotionally healthy the pathway, which she called the Head-Heart Connection, has to be intact. When that pathway is disrupted, feelings can become trapped inside the heart, causing behavior to go awry. 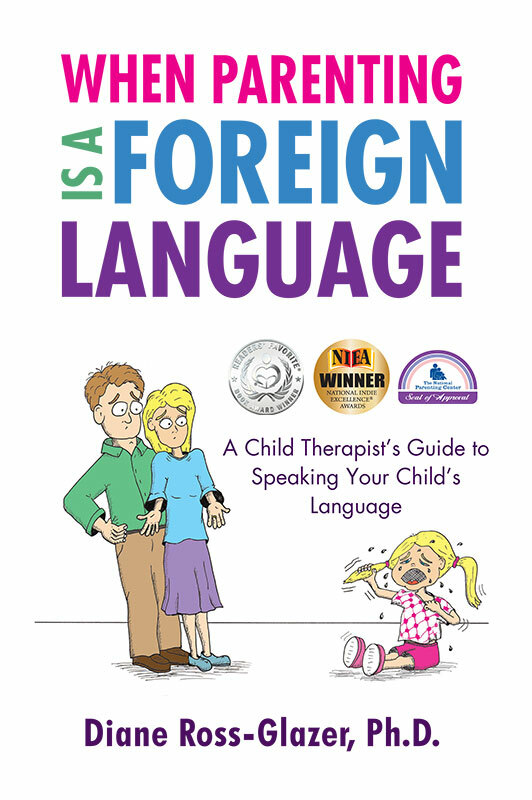 In When Parenting Is A Foreign Language, Dr. Ross-Glazer provides parents with crucial insight and specific tools to help their child avoid the pain of a Head-Heart disconnection. Though When Parenting Is A Foreign Language is directed at parents, the concepts Dr. Ross-Glazer teaches apply to adults as well. Everyone can learn something from reading this entertaining, and highly instructive parenting book.